EASA have released a draft set of ‘regulations’ (labelled as a ‘special condition’) for light electric VTOL aircraft. We at Abbott Aerospace applaud this step forward but note that there are some potential issues with the way this has been done. The new CS-23 is state of the art only because it is the latest version. No one has certified to the new consensus regulations and it has not been shown that they will reduce the cost or time to certify. It will take many years and a number of programs to go through the process before a rational assessment of this nature can be made. The new standards rely on essential specifics of certification to be contained in advisory or policy materials. The regulations have become a framework that the compliance specifics (the old regulations, now mere advisory specifics) are built around. It has to be acknowledged that the devil does reside in the detail and that the regulations now avoid the details and some other body has to devise the details. Where there is already an established set of compliance specifics, informed by accident and incident history, these specific compliance standards are relatively easy to create. I am, of course, referencing the old part 23 regulations that have been sequestered as the ASTM consensus standards. As a side note, I am not sure who gave their consent for this to occur I know a lot of people who objected. Maybe we should be calling them ‘coercive standards’ or ‘violative standards’? 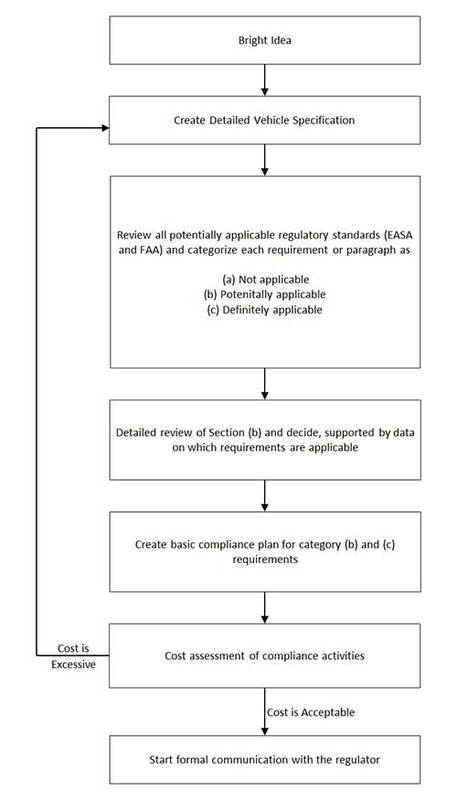 Where the regulations are addressing a new and unique aircraft configuration these compliance specifics and the supporting historical data does not exist. So who is going to come up with the details? The individual applicants? What are the applicants going to base their individual ‘compliance standards’ on? Fundamentally the regulatory authority has abdicated the responsibility for defining the critical details and pushed this onto the applicant. There is no point waiting for the ASTM to soak a little more money out of you for the privilege of accessing their compliance standards – there is no schedule for when these may be available or if they are ever likely to be released. Although if there is money in it I am sure the folks at ASTM will eventually come up with something. So what is a poor little applicant to do? Well, get ready for a very large amount of paperwork, careful consideration and probably some redesign. If you are developing an unusual VTOL aircraft we recommend the following approach. (a) Rule out all of the paragraphs from each of these regulations which are clearly not applicable. Consider each paragraph is category (b), can you find or develop data that would rule each one out or in, what is the impact on safety? What is the impact on your design? What is the impact on cost? You then write a set of detailed regulations based on your development of category (b) and (c) that you assess would apply to your aircraft. When you have got to this stage and you have all of your supporting data and evidence that supports your chosen approach, start a conversation with the regulator. 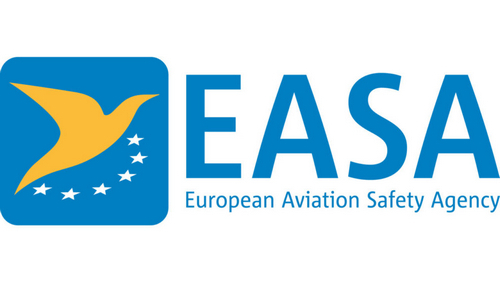 We believe that the approach taken by EASA with the issue of this proposed special condition indicates that the applicant will bear the burden of developing their own detailed compliance standards. EASA is boldly going where no compliance authority have gone before by largely abdicating responsibility for developing the detailed standards necessary for certification programs to succeed. Applicants will have to get themselves up to speed with the complex details of multiple sets of current and legacy regulations. The regulator, rather than providing a road map through certification has left you in a library full of maps and is waiting for you to show them how to get home. This can be done, but companies need help – and companies need to know they need help. If you were to listen to the regulator we have state of the art regulations with a new set of proposed standards – the future is bright. And for them the future is bright. No government agency has ever gone into insolvency because they failed to allow projects to certify within a reasonable budget. They will get their pensions and benefits whether or not any new aircraft project makes it through the certification process. Those of us in the industry side of things need to be a little more mindful of reality. Contact us if you have any comments or if you think we can help you.